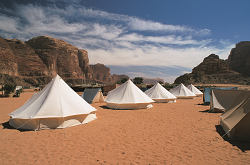 [M]eeting the demands of 21st century travellers is something that Jordan excels at. The new terminal building at Queen Alia International Airport in Amman is testament to the country’s commitment to ensuring a smooth passage for arriving and departing passengers. Continued investment in the transport infrastructure means that getting around Jordan is as easy as getting into the country and wherever you are staying, you will find accommodation of the highest international standards. The recent construction of major conference and exhibition centres means that meeting and conference facilities in Jordan compare with anywhere in the world. [F]or a relatively small country, Jordan has a rich seam of treasures, with sites of important historic interest spread throughout the country. 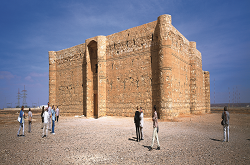 If you follow in the footsteps of the Roman Emperor Hadrian, the Prophet Moses or Lawrence of Arabia, you will unearth some of Jordan’s most prized sites at Jerash, Mount Nebo and Wadi Rum respectively. Unlike these three major figures from history, Indiana Jones may be just a Hollywood creation, but if you follow in his footsteps, you will find the greatest treasure of all, the rose-red city of Petra. Unique is an overused word, but it can certainly be applied to so many sites in Jordan. [W]hen your country borders the Red Sea and the Dead Sea and you have desert terrain, deep valleys, green hills and towering mountains, all topped with clear blue skies, there’s no shortage of activities you can participate in. Diving, snorkelling, swimming, trekking, jeep driving and hot-air ballooning are just some of the things you can do. For a country which has the world’s largest natural outdoor spa – the Dead Sea where relaxation is the order of the day, Jordan also has a remarkable number of activities available. [F]rom Aqaba to Wadi Rum there’s an almost complete A to Z of natural beauty in Jordan. The world’s northernmost coral reef ecosystem is situated in the Gulf of Aqaba. There, the absence of stormy weather, mild water currents and an average water temperature of 23° Celsius have created a wonderfully hospitable environment for the growth of corals. Just a little further north is the moonlike landscape of Wadi Rum, which is home to many rare and endemic plants. Further north still, near the east coast of the Dead Sea, the Mujib Reserve, which is the lowest nature reserve in the world is to be found. Wadi Mujib enjoys a magnificent bio-diversity that is still being explored and documented today. Over 300 species of plants have been discovered so far. [O]ne of the greatest thrills of spending time under canvas is seeing the stars. We mean really seeing the stars, which is something that’s only possible in the desert without the light pollution that much of the world has to endure, especially in the large cities and metropolitan areas. At Wadi Rum we can offer the chance to see more stars than you ever thought possible! [I]t’s not just the stars that make camping such a unique experience. Take the meals for instance. For anyone used to staying in luxury hotels (and we have plenty of those in Jordan), going to the restaurant and waiting for the waiter to take your order or perhaps joining the queue for the buffet, there is something very different about watching your meal being unearthed from an underground oven. Sitting around a campfire and talking over the day’s events is also very different to slouching in a big armchair in a comfortable lounge. And somehow, the local entertainment seems more authentic in this environment than it sometimes does in a big hotel. [T]here are many different types of camp but most of them have large tents with comfortable beds and clean, efficient bathroom facilities. It may not quite be a luxury hotel but it will provide you with an experience that lives long in the memory. Part of that experience may well include the opportunity to ride on a camel and even follow in the footsteps of one of the best known camel riders of them all around here – Lawrence of Arabia. [S]ome of Jordan’s best sites can only be reached on foot but the long walk is worth the trek if you can manage it. 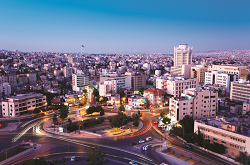 Jordan caters for people of all abilities and there are plenty of options for you to explore. Arguably the best of these is the walk that takes you from the entrance to Petra, down through the siq or narrow gorge to the magnificent facade of the Treasury. If it already looks familiar it may be because you saw it in the film, Indiana Jones and The Last Crusade. Or it may be because it is one of the most photographed structures in the world. Either way, nothing quite prepares you for the awe-inspiring sight that appears before you. [V]arious walks and climbs at Petra reveal literally hundreds of buildings, temples, arched gateways, colonnaded streets and rock drawings – as well as a 3,000 seat open air theater, a modern archaeological museum and if you make it into the mountains beyond, a huge 1st century Monastery. [I]f you are a serious hiker, there are plenty of other options for you throughout the country, including Ajlun Nature Reserve – a Mediterranean-like hill country, dominated by open woodlands of Oak and Pistachio trees. The Royal Society for the Conservation of Nature has set up two hiking trails and provided a special area for camping there. 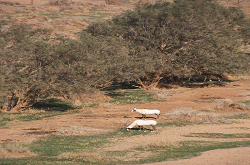 [O]r there is Azraq, a unique wetland oasis located in the heart of the semi-arid Jordanian Eastern Desert. There’s the Mujib Biosphere Reserve which is the lowest nature reserve in the world, with a spectacular array of scenery near the east coast of the Dead Sea. Wadi Rum of course offers some serious trudging across the vast desert sands and one activity which attracts thrill-seekers there is mountain climbing. Ascents can range from simple hikes to serious 900m climbs up sheer granite and sandstone cliffs. 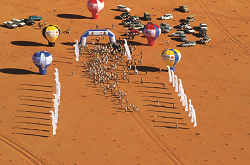 [F]rom exploring the Gulf of Aqaba and its kaleidoscope of colours, to the dizzy heights of jumping from a plane at 13,000 feet (4000 metres), Jordan offers a range of sports activities. It’s possible to do a tandem parachute jump here without any previous training. Jumping with some of the most professional skydiving instructors in the world is a once in a lifetime opportunity that allows those with a sense of adventure to experience the excitement of freefall skydiving. [S]afety in skydiving is extremely high and especially so in tandem jumping. Each harness has a main parachute and a reserve parachute and the tandem rigs are designed with a bigger canopy to hold two people. There are very strict conditions regarding age, health and weight, but if you are fit and healthy, Skydive Jordan might just provide you with the thrill of a lifetime. [I]f you’re planning to scuba dive in the Red Sea as well as skydive, make sure that you take to the air first or leave at least two days after scuba diving before skydiving for safety reasons. There are several dive centres in Aqaba and they all offer well-maintained diving equipment, professional instructors, and transport by boat to a variety of dive sites. If you would rather see the marine life without getting wet, you can join a cruise on a glass-bottomed boat or even a submarine. 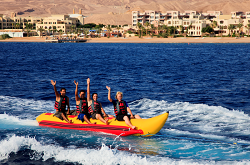 [T]here are plenty of other water-sport activities available in Aqaba, as well as an extensive and interesting Marine Park. 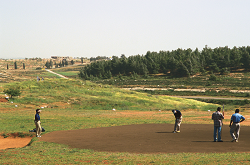 All of the land based sports that you would expect are also available in most of the hotels and resorts throughout Jordan. [T]here’s a lot that Jordan does well and providing total relaxation is one of those things. As a country it is in a perfect position to accommodate the increasing worldwide popularity of the spa vacation which many people are now choosing as part of a healthier lifestyle. [A]t 410m below sea level, the Dead Sea is the lowest place on earth and Jordan’s Dead Sea coast is one of the most spectacular natural and spiritual landscapes in the world. The main attraction of the Dead Sea is the soothing, salty water itself. The salt content of the water is 31.5% making the water so buoyant that it is impossible for the visitor to sink. The water also contains 21 minerals including high levels of magnesium, sodium, potassium, and bromine and 12 of these minerals are found in no other body of water in the world. The combination of the Dead Sea water and the rich black mud found along the shoreline, have been shown to have significant health benefits. [J]ordan has complemented its natural therapeutic sites with first class resorts offering an excellent range of amenities, where visitors are given a unique and relaxing experience catering to all of their health and fitness and beauty needs. A large amount of investment in infrastructure in the area has provided the Dead Sea with new roads making the luxurious 5 star hotels like the Movenpick Hotel and Resort, the Jordan Valley Marriott, the Kempinski Ishtar Hotel, and the 4 star Dead Sea Spa Hotel all easily accessible. [M]any visitors to the Dead Sea also take advantage of the nearby wonder, Ma’in Hot Springs. Popular with both locals and tourists, the springs are located 264m below sea level in one of the most breathtaking desert oases in the world. Thousands of visiting bathers come each year to enjoy the mineral-rich waters of these hyper-thermal waterfalls, where the water is heated to temperatures of up to 63° Celsius by underground lava fissures as it makes its way through the valley.